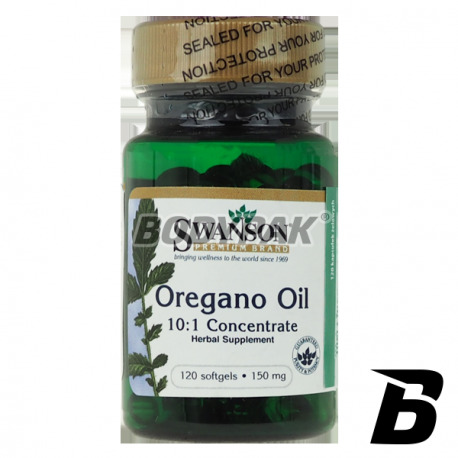 Health & BeautySwanson Oregano Oil 10:1 Concentrate 150mg - 120 kaps. Swanson Oregano Oil - It contains the essential oil obtained from the common marjoram (Origanum vulgare) - commonly known as oregano. Its main component is an essential oil, which contains very valuable, acting antiseptic, carvacrol. It acts as a potent substance mildew resistant - both against molds skin, as well as those occurring in foods that cause disorders of the gastrointestinal tract. It is also one of the most powerful antioxidant, it has shown positive effects destructive bacteria. Oregano also comprises more than 30 active ingredients, - essential oil, vitamins, minerals, a relatively high amount of chlorophyll, tannins, flavonoids, phytosterols and other valuable substances. It contains tannins prevent diarrhea. It has been proven to deliver effectively on 25 different, dangerous to human strains of bacteria. Properties oregano already knew Hippocrates and Aristoteles, this plant was considered miraculous and magical. 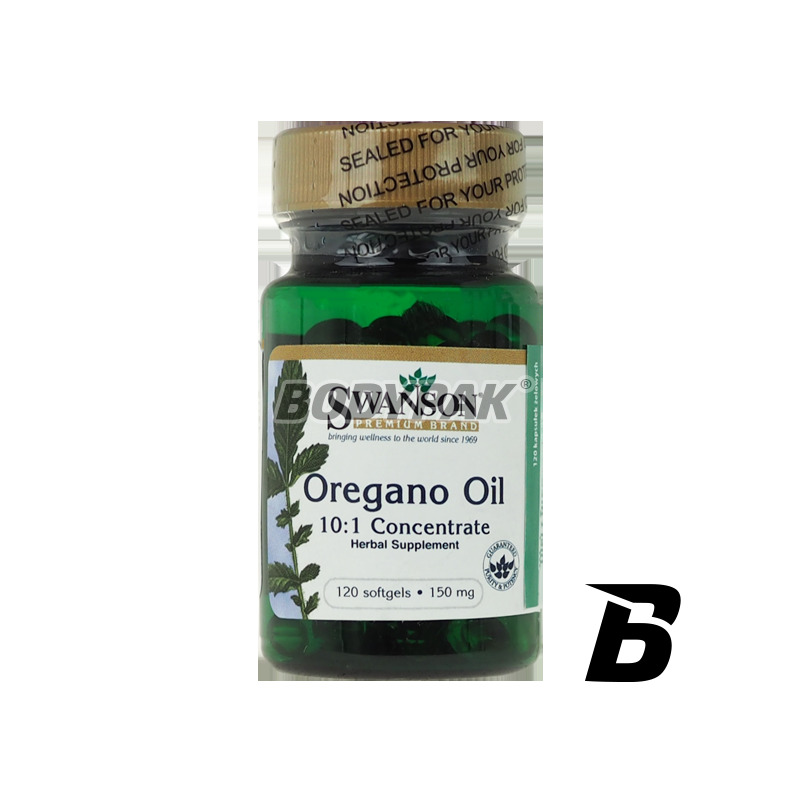 Externally oil of oregano used for gargling and reinforcing baths. Składniki: Olej z oregano, otoczka kapsułki: żelatyna, substancja utrzymująca wilgoć: glicerol, woda oczyszczona.